Street dance is a blend of different dance styles including Hip-Hop which developed in a non-regimented, organic way, outside of the dance studios. 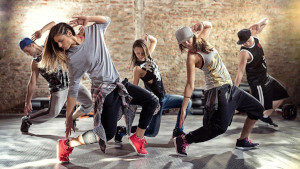 In our street dance classes, you will learn different types of grooves, rhythms and cool moves like the ones you have seen Street dance performed by backing dancers in music videos or even by major artists themselves like Justin Timberlake, Jason Derulo, Usher and more. We have developed two levels of street dance lessons catering for beginners and more experienced dancers which are run in a course format so you can easily track your progress and continuously build up on your dancing skills. Click on the options below to find out more about the course start dates, London locations, times and to book online. Ideal for those with little or no previous experience in dance. Progressive courses that build up in complexity week by week. For those with six months to a year of experience wanting a faster paced class with more complex routines. A great way to try a class before committing to a particular course. Evening and weekend courses. Class locations include: Soho (Oxford Circus), City and London Bridge.